Gyoza? 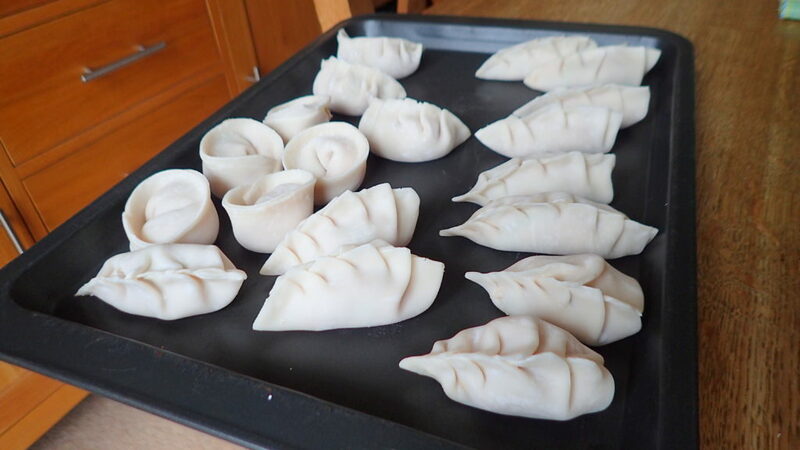 Jiaozi? (餃子). 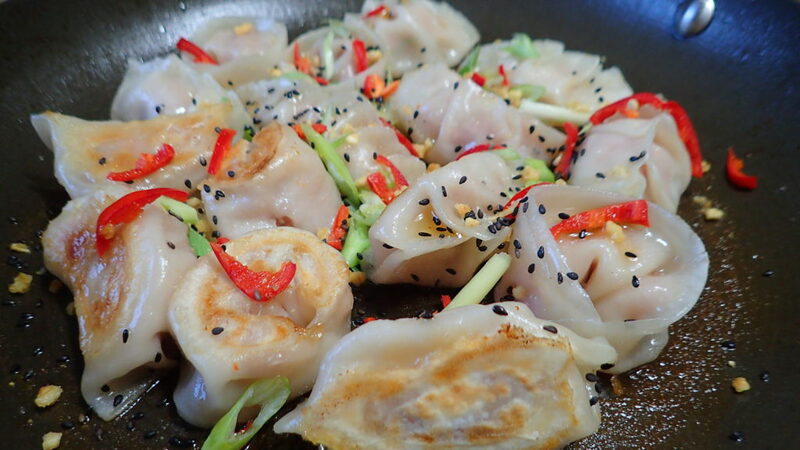 The original Japanese or Chinese dumplings or even pot stickers in America? I once made Malaysian currypuffs for hubby’s work as they were having a training day by a gentlemen from the US. He took one look at my currypuffs and pronounced ‘I love these pot stickers’ Needless to say hubby had fun informing him otherwise. 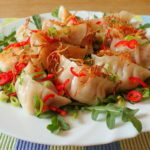 These dumplings consist of ground protein and vegetable fillings that are wrapped into a thinly rolled piece of dough, which is then sealed by pressing the edges together. Finished goyza can be boiled, steamed or pan-fried. I have even seen people deep frying them. 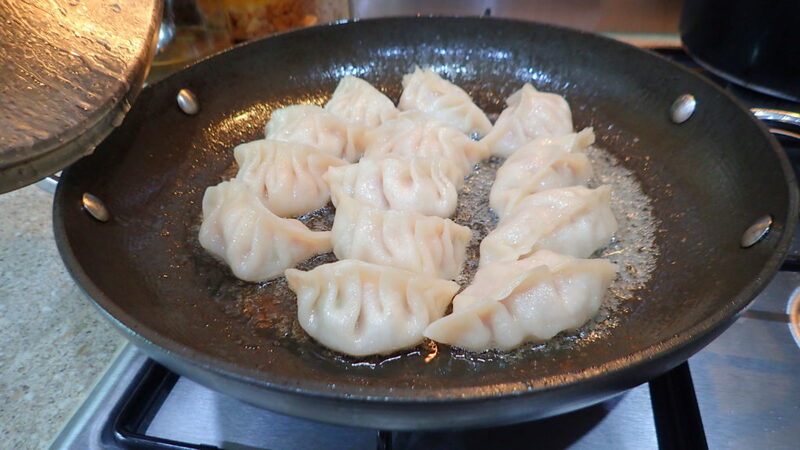 However I usually fry mine for a minute in a little oil before adding water and cover the pan to steam them till dry. Then I uncover and allow them to fry for a bit till the bottom is crispy with a touch of oil. You can substitute the fillings and marinate according to your taste. 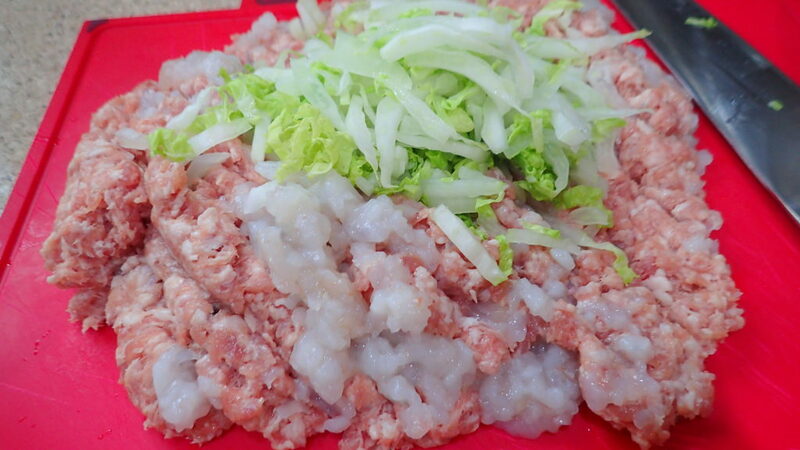 Mince all the proteins and cut everything and place into a deep bowl. Mix and let it all marinate while you tidy up your wrapping station. 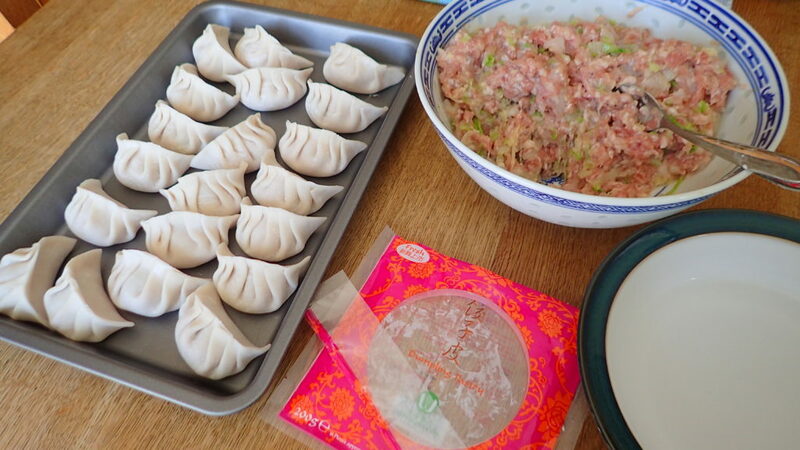 These Gyoza 餃子 can be frozen. To freeze you need to arrange them in a single layer on a tray. 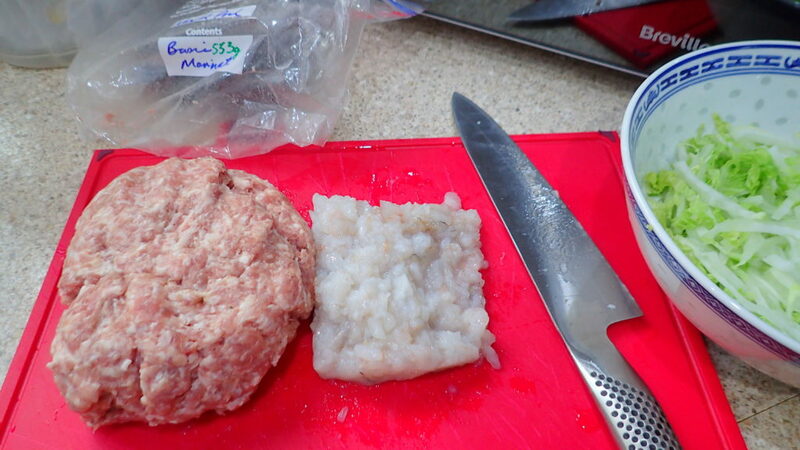 Place in freezer and and let them freeze first before keeping them in a bag for future eats. TIP – I like to drizzle a bit of crispy garlic or ginger just before serving. 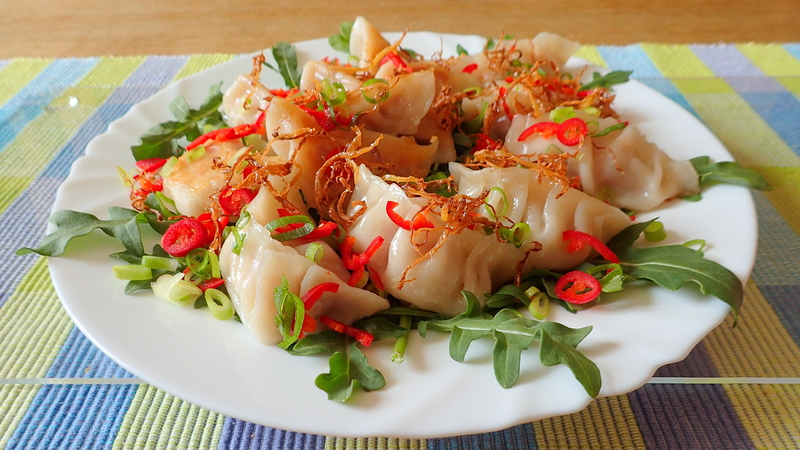 TIP – A few spring onions also makes the dish comes alive.